What's scarier than waking up in a strange place? Waking up naked. That was what I woke up to. A naked body in a strange place. The naked body being mine. Opening my eyes, the first thing I notice is how uncomfortable the bed I am on is. Second, is the searing pain through my head and right arm as I try to get up. Third, the strange environment. Fourth and most importantly, I was naked. "When I love, I love deeply. When I hate, I hate just as deeply." A person whose love is not crazy does not deserve to say they have loved. "You taught me to be emotionless yet you say you love me, you taught me not to feel now you ask for my feelings? What love? What happiness? I know them not. You hypocrite why do the rules change when it's your heart at risk? Be gone I have no heart to give." She grew up free willed and wild. She fell in love fast and hard yet all that was grasped from her by the same people who claimed to love her. So hurt, so resentful, so so painful. Can she love again or is her heart to forever stay frozen? 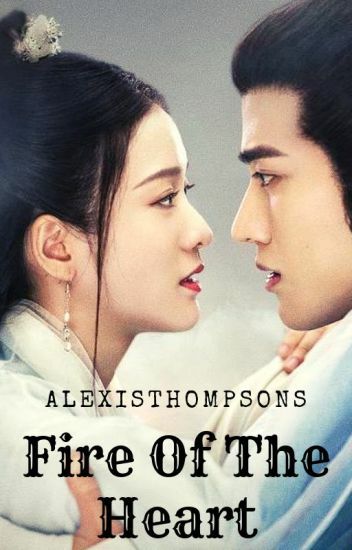 Synopsis: After the Princess of Qi, Qing Shi died, there was a man who hadn't truly lived since. That man gave up his entire life as a sacrifice for her death. No matter how relentless time can be, it will never wash away the memories of happiness, instead it will ingrain the painful memories much deeper still. As the daughter of General Yan of the great country of Yin Shang, her duty lies with the royal Pan clan, whose sole orders hold her and her father's lives. On the day Yan Qing turned 19, the Crown Prince of Yin Shang sent out an order - for her to go undercover as a servant into their nemesis' territory: Jin Tang. Alone and afraid, she must brave through the journey alone, for only succeeding in seducing the future King of Jin Tang of the royal Li clan, can she survive her predicament. The fate of her country, and more importantly, her father, lies in her hands. "The royal garden of women is full of thorns." Sold off to a brothel by her father, Li Yin Feng, is a 17 year old girl who knows how to deal with poisons and is capable of self defense if necessary. Her family was a family of physicians until her father ended up killing someone. Now jobless and labeled as criminals, the money in the family slowly went down and the family members that got sick slowly died and then were thrown in the mass grave, including her own mother and younger brother and sister. As the only child left, she was sold for the sake of money and for the sake of her selfish father who simply laughed as he sold her off. The first week in the brothel was all about learning to serve the customers that came as well as learning how to dance and play the guzheng. Being a fast learner, Li Yin Feng was quickly put out to serve customers. Having to deal with her circumstance, she served the customers but rejected all the men that wanted to bed her. One night, a man paid a high amount to sleep with her, she escaped and ran away. She escaped to the city of Jianghu and made a new life for herself as she was taken in by a female doctor. There in Jianghu, she meets a mysterious man that is a renowned hero. He was confused, so he asked, "I have a car, a house, good-looks and money. What am I lacking in?" She replied, "All those attributes are what men use to lure mistresses. So, which of those attributes is a good characteristic?" Ashamed, he reflected, "I am loyal to one and I can host and cook. I can make the bed and accompany you when you wish to go out." She replied bitterly, "I shall, reluctantly, accept you then." " Xin Ju you have to be this cruel?, i have to go out of this palace " she question her ownself and find away to run from them.
" don't let her run! " command that general to them. She couldn't do anything only she can protect her self. She kill the enemies by her own with sword technique dancing flame.
" your swordman ship never changed ,Muzhen as expected of the Situ Han beloved daugther " said Xinju while clapping.
" Xin Ju er, why you kill them ! " she scream to Xin Ju. Like a flower ,"our love" it bloomed so beautifully but like flowers.
" Muzhen as soon , im a emperor you will be my empress " said Xin Ju (Sweet talker). The Emperor of Nouthern Yan " Li Xin Ju" , hereby declares the execution of every member of the general Situ House,the daugther Situ Muzhen (Beauty Mu) because of her contribution to the empire is temporarily  free of change.
" it hurt like im stabbed by invisible sword " said Muzhen. She take his sword and sttabdd herself.
" i know you really hate,  from my next life i hope we can't owe each other "said her . He speechless, he didn't mean to kill her. Xin Ju gege since when did you start distrust me ! When you became an emperor or? Since  when father won you a civil war! Even though i knew this love was enrequited ,no matter how hard i tried , i couldn't stop loving you. Muzhen if you're  given another chance, how could you correct your mistakes? Emperor ,so she  to steal father secret file for him. She gave him the tiger seal to command the Muzhen House immese military .She betreyed her family ,she sacrified everything that she had . But what did she get in return?,now she get chance to rebirth .Sje will revenge for herself. Shu Yue died from being crashed by a tow truck and woke up to find herself in a blank, empty void. System: Host is now a part of the 'Operation: Make The Male Lead Fall In Love With The True Female Lead! Shu Yue: So this will be just like other system novels, right? System: With the mechanics, yes. But with the missions, no. A definite no. System: You'll figure it out soon enough. Shu Yue: Why isn't this system cute like the ones those in novels? System: Well, you have to get used to it. We might be working together for more than a million years. Shu Yue: Can I switch you with an another system? System: If I can do that I would've done so the second I heard you speak. Now my task is to make the Male lead fall in love with the true female lead? Ah! Foolish CEO! Dumb Possessive Underground Boss! Idiotic Diety! Blind School President! Hey! Male lead! Stop seeing the wrong female lead and open your damn eyes to see the true one! Drop your pride for once and stop being stubborn, alright?! I want to return home in one piece! Stop making these missions harder to fulfill! The third male lead? You want to have the female lead instead? Ah, aboslutely not. Now go and shoo. "I hate you" She hissed with trembling lips, her body drenched by the rain. The coldness stole the lively colour of her lips and replaced it with a shade of dark purple, but even in this state she was stunning. He stepped closer, the distance between them narrowed to near nothing. Seeing her dressed in the long white robe with long hair gracefully fall was different from when he thought she was an ignorant male guard. He remained silent, simply looking at the girl who didn't fail to show her hatred through the dark beautiful eyes. If looks could kill, he wouldn't be able to reincarnate. "Hating me for killing them or because I didn't follow your demand?" He was close, to the point she felt his warmth in the drizzling rain. "Or because I didn't died?" Someone said: "My bed, it's not your first time sleeping here. Why aren't you coming over?" Me: "Your majesty, this wanted fugitive is not a concubine in your palace. I'm not obligated to sleep with you!" ... Makes no sense the concubines are left idle, instead wanting a criminal awaiting execution like me to waste energy both mentally and physically. Someone said: "Really? - - An Yi is surprisingly very righteous!" Not lightly nor heavily, he lets out a decree: "If you don't want to sleep with me, then off with your head!" I DO NOT OWN THIS STORY. I ONLY PUBLISH IT HERE FOR OFFLINE READING PURPOSE. ALL CREDITS GOES TO THE ORIGINAL AUTHOR 蓝艾草 AND TRANSLATORS. Original xianxia novel with strong elements of Chinese historical fantasy and romance. Ruyi is one of the last fox spirits remaining in the Nine Realms. As a lowly maidservant in the Heavenly Realm, she hopes to trade a hundred years of service with a thousand years of advancement in cultivation. The voice, quiet and cutting, broke her concentration. Ruyi broke out in cold sweat as her qi spiked and she breathed slowly as she brought it back under control. When she could, she looked up. The Third Prince Yuezhen was standing in front of her wearing a bemused expression. He was wearing his dark purple robes as usual, and carried a long sheathed sword in his hand. The bright moonlight turned his dark hair to silver. "Are you a maid? This Fragrant Harmony Garden isn't for maidservants to play in." "Why not?" The words came out before she could control herself. "I'm the one that spends the most time here cleaning after all." The corner of his lips jerked into a half smile. "You are the maid from this afternoon. Are the maids in the Empress' palace so ill disciplined? Don't you even know to make the proper greeting to a master?" Written in the style of a Chinese light novel and will be updated frequently.